It is not a holiday without paleo sugar cookies. I used to eat my weight every single year so you know I was doing a happy dance and forgetting about calories and carbs when I came up with this sugar cookie beauty. I decided to do everything in my food processor so I wouldn’t have to hand mix the dough. Seriously, this is the easiest way to do it. 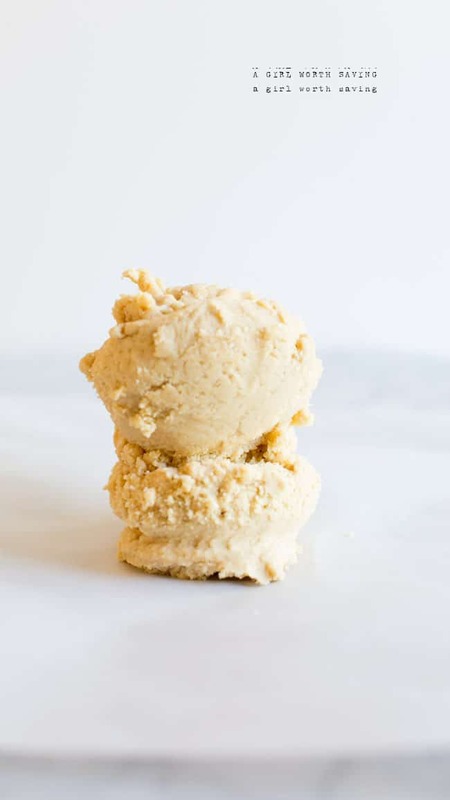 Paleo Sugar Cookie dough goodness and only one container to clean when you’re done. Do not preheat your oven. Timing is based on putting into a cold oven. 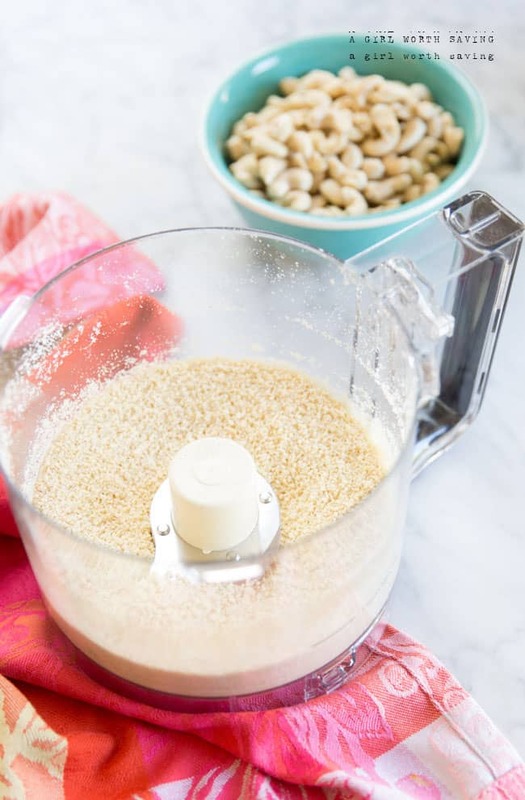 Grind the cashews into a flour in your food processor. Next add in the coconut flour, sea salt, baking soda and tapioca flour and pulse to combine. Then add the ghee vanilla, egg and honey and pulse until you have a cookie dough. Roll out the dough between two sheets of parchment and cut with your cookie cutters. Place them on a piece of parchment paper and then bake at 350 degrees for 15 – 20 minutes. As you may have heard, I’m on a bit of a cashew kick, so I can’t wait to get in the kitchen and try making these! They look absolutely edible! So crazy good! We…ok….I destroyed them! THESE SOUND GREAT! I’M HOPING MY KIDDOS LOVE THEM! WE HAVE GRASSFED BUTER ON HAND BUT NO GHEE IGHT NOW; WOULD THE SAME MEASUREMENT WORK WELL IN THIS RECIPE? THANKS IN ADVANCE! It should work find Kris. I am new to the “Paleo” thing, but I thought it discarded anything animal and this calls for an egg? DeeDee, the Paleo diet is a protien and real food based diet. Eggs are a major part of the diet, if you can tolerate them. I had never seen ghee before moving to a large city with a diverse population. I was wondering besides ethnic dishes what else one would use it for! You can use ghee anywhere you would use butter or a fat for cooking. Baking, sautéing, etc. I love it. I buy local grassfed butter and make ghee myself. Yummy. Ghee has a bit of a different taste to butter… a little richer perhaps? The great thing about ghee is that it does not have the lactose (sugar) or casein (protein) that a growing number of people find they are reacting to. The lactose and casein are removed in the process of making ghee, but ghee is still unsuitable for those with a dairy allergy. I love using ghee since it gives me a much healthier option to dairy-free margarine. Like Jacqi I like to buy good quality butter and make ghee myself, but it is possible to buy good quality ghee in some health food stores or co-ops. And yep, use ghee pretty much wherever you’d use butter. I just bought cashew flour at Trader Joe’s. Do you know how much cashew flour I would use in place of the cashews? I’d like to make these for my daughter’s birthday party. Thanks! 1 cup + 2 tbsp! I hope you enjoy them! I was just thinking the same thing, I now have a good excuse to put that cashew meal to use! Do they taste like coconut? I use coconut flour in a lot of my recipes and they always taste like coconut. Also, can I sub maple syrup instead of honey? These look Gret! 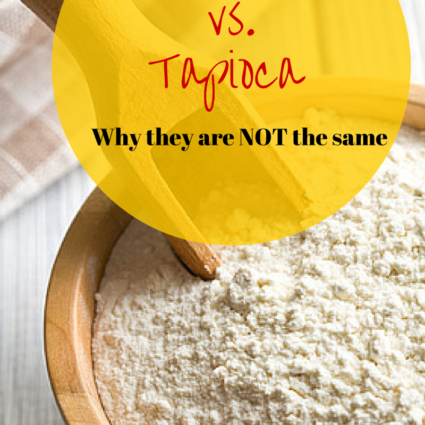 What can I sub for the tapioca flour ? Wow! Just made these… I did two seperate batches. First batch the dough tasted just like raw cookie dough but the actual cookie had more of a shortbread like texture. Second batch I thought I maybe tasted too much honey but for whatever reason that batch of cookies was like eating the real thing! Thanks for the recipe! Awesome Brittany. 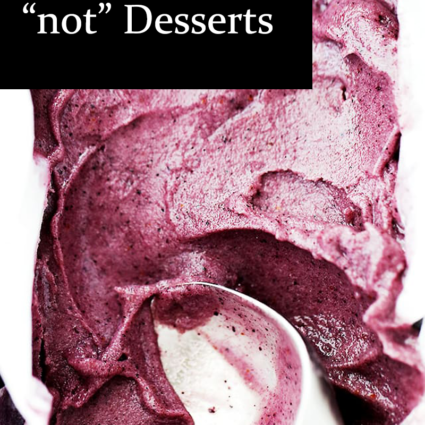 Did you make them in your food processor? You are a food GENIUS!!! Seriously LOVE all of your recipes!! Aw, thank you so much Suzanne! 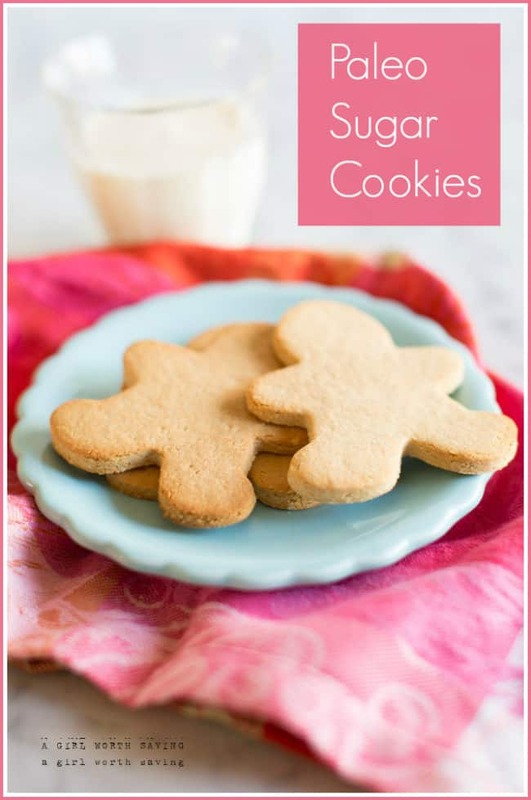 I love a good sugar cookie… I love the idea of a healthier sugar cookie even better. My question is, where do I get tapioca flour, coconut flour, etc? I can’t find them at my local grocery store. Dianna, probably the next best place is amazon. I buy a lot of this online. You can get all sorts of various flours at many health food stores, and often you can buy bulk in smaller portions. Also wanted to mention, because we can’t have ghee, I used macadamia oil, and it required a LOT more cashew flour than 1 cup plus 1 tbsp. It was probably 1 3/4 cups. The only possible other issue was I used eggs from my hens, so maybe mine was x-large or jumbo size?. I just kept adding cashew flour until it turned into dough that looked like Kelly’s. I’ve been cooking GF/CF, for over a decade, then removed, soy, corn, and white sugar. Eight years ago we all went to SCD, but then decided to let starch creep back in. My kiddo went berserk, full-on brain fog, return of autism symptoms. So, back to basic- now non-dairy Paleo. Feeling better ! Ahh, these look so good! I’m baking with my mom this year in preparation for christmas, I think I will be recommending adding these to the list! I am definitely making these this weekend! Do you think the dough is soft enough to use in a cookie press? Well, I’ve never used a cookie press to be honest. It made 10 big cookies so there might be enough? Worked well with egg replacer powder. Will try with chia seed replacer some time. Added ginger and cinnamon. Great texture! Yes, you can leave it out with no issues! Enjoy! Yes, that works perfectly Linda! Those cookies look deliciously good! These look wonderful!! Any idea if you could get away with using an egg substitute in it? Yes, another reader made it with egg substitute and she said it came out well. I hope you enjoy it Carey! Is it possible to use Cashew butter with them instead of raw cashews? If so, how much would you think? I think that cashew butter is too thick to get the correct consistency. You could try but I think you would end up with something more like a nut butter cookie. Can I use Brazil nuts instead of the cashews for lowering the carbs? You can always substitute a nut but the flavor would be very different. Do you know of healthy-ish frosting? Want to make Xmas with my daughter! Using Cashews.. Brilliant! They look delicious! Yes, the flavor will be a touch different though. I don’t know what I did wrong! The first sheet of them burned, so I only cooked the second round for 10 mins and they are super dark. 🙁 Are you supposed to put them in a cold oven? 🙁 Sorry hun! Yes, I never preheat. I’ll put this in my recipe now. Are you saying you never preheat your oven for any recipe? Just wondering, as most recipes call for it. And if you don’t preheat, you turn on your oven, stick in the food, and cook for the amount of time you list in your recipe? Pretty much Patricia. IF I do, I mention it first but 99% of the time I do not preheat. These looks amazing, so adorable! 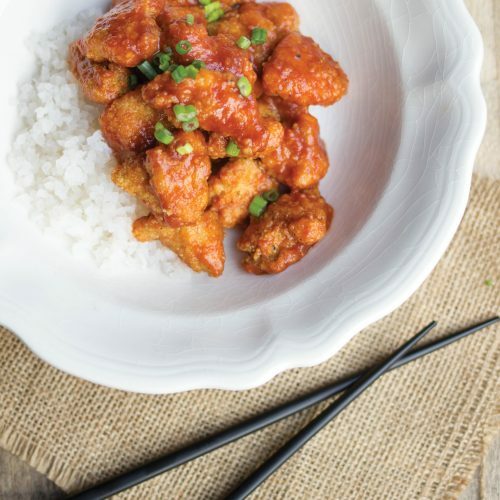 I love that you used cashews in this recipe. I’ve been trying not to use so much almond products because I do not want my system to become sensitive to almonds like it has other foods. I am so ready to try a cashew cookie recipe! I am looking forward to sharing these with friends and family this week! You can definitely make them with cashew flour but you have to use egg (or something to keep them together). The best bet is to just add a little flour to the mixture so you get a little bit of the taste. Made these today! They are really amazing and the recipe was easy to follow! They taste EXACTLY like sugar cookies. Your recipes are seriously awesome. Thank you so much for sharing them! I love cashews! They are my new favorite food. And I LOVE that this is a dump-it-in-the-food-processor kinda recipe. But I am trying to get rid of sugar (fructose, in particular). I used brown rice syrup instead of honey. Is there a way that I could eliminate the sugar completely and retain the structure of the cookie? Do you have a frosting or icing recipe for these? I would like to substitute cashew butter for the. Do you have any idea how much I should use? It would turn out different with cashew butter since it’s wetter. You might not need to add as many eggs or the butter. You can sub another nut flour if that helps although the taste won’t be the same. Can you sub coconut oil for ghee? Hi! I was thinking of using almond flour instead of cashews but I was wondering how much should I use? 1 cup? I would start at a cup and keep adding in 1/4 cup increments until the dough looks like the photo hun. Thank you for the recipe, these sugar cookies are some of the best I’ve ever made! I baked them in a sheet pan instead of making individual cookies because I can cut them to varying sizes that way (and I’m lazy, only one pan in and one pan out, no swapping of pans). The taste is pure sugar cookies and the best part is they remain soft. After making and taste testing my initial batch, I used this dough to make cinnamon rolls for Christmas morning. I refrigerated the dough for an hour, rolled it out thickly into a rectangle on parchment paper, spread with real butter, sprinkled cinnamon, raisins, and pecans over the top. I rolled it up jelly roll style (it rolled up like a dream), cut it into thick slices and arranged in a glass cake pan to sit overnight. Christmas morning, I baked them uncovered for about 20 minutes at 350 degrees. They didn’t rise, of course but the texture remained soft and we enjoyed the warm cinnamon rolls, especially slathered with butter. Let them cool slightly so they don’t fall apart as easily when you remove them from the pan. Thank you again for a great tasting, multipurpose recipe. I’m so glad you enjoyed them hun! 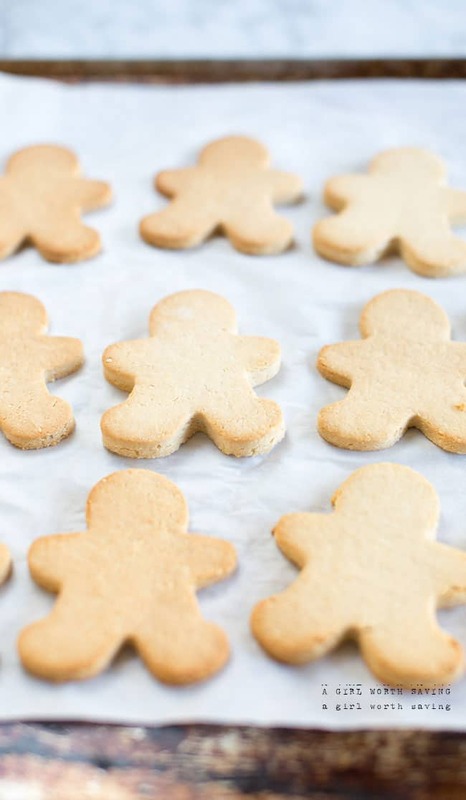 Made these tonight since I’ve been looking for a good paleo sugar cookie. These are definitely the best! I used almond extract instead of vanilla because that’s what my mom and I did for sugar cookies. They are so delicious. My husband and I ate 3 each as soon as they were done! Mine did get a little dark, and I put them in a non-preheated oven for 15 minutes so next time I will check sooner. Thank you for this great recipe! These look amazing – how far can I make them in advance? I would stick to 2 to 3 days hun. I do have a question though – do you think grinding up peanuts instead of cashews would work? I’m not a huge cashew fan and would imagine this cookie as a “peanut butter cookie” to be delicious! Just not sure how that would bake. Thanks so much! I’m glad you enjoyed it Oliva 🙂 Yes, it would change the flavor but I think it would work well. yep 🙂 I don’t know many people who would only have one cookie! On my to do list for chirstmas! healthy goodness. Thanks for the recipe. Carine. I hope you enjoy it hun! I just made the dough and it is really sticky and definitely not something that could be rolled and cut out (even btwn sheets of parchment). Did you refrigerate your dough or did I do something wrong? Your eggs may have been larger than mine. You can refrigerate to let the dough firm up hun. Hi! I’m making cut out cookies, and I’ll be doing the vegan version. One question – this sugar cookie recipe has tapioca in it, but your version that you posted on Against All Grain (as part of the Strawberry Jam cookies) does not. Which version would you recommend for cutting out with kids? Thanks! Tapioca will make it easier to cut hun so I would do with that. My dough tastes awesome but it’s super sticky. I couldn’t get cookie cutters on it if I tried 🙁 any help?? I followed instructions carefully and baked for a little over 15 minutes. The only thing I did differently was use a silicone baking mat in place of parchment paper. I’m guessing that is why I had a problem: perhaps it makes the cookies bake faster, because they came out un-salvageably burnt 🙁 I wasn’t checking them either, so my bad. I did haveabout half the batter left still, because my cookie cut outs were too large to fit all on one tray, so I reduced baking time. The second batch came out just right. It took about 8 minutes in a preheated oven. They are yummy! I may add additional coconut sugar next time to sweeten them up some more! Hello, these are in the oven right now and the batter tastes too much like cashews, I added almond flour with coconut flour and they taste more like a peanut butter cookie. Is this normal? I turn on the oven and then put the cookies in. Can I use Regular butter in these until I get ghee? I love this recipe! It’s so authentic. 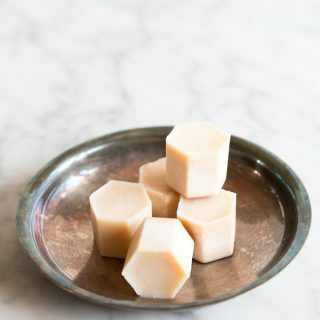 I usually use butter as I love the flavour but I want to make a batch for a friend who can’t have dairy. Would coconut oil work ok as a replacement? You could try palm shortening hun. Palm shortening would work hun. These were amazing! I added 1/4 cup coconut sugar and made a coconut cream frosting. My 2 year old liked them too. Thank you! So glad you enjoyed them hun! I’m going to have to try these again sometime because the dough tasted amazing. Unfortunately, mine were burnt on the bottom after 10 minutes. Would you recommend any substitute for the cashews? Possibly almonds? yes, you can substitute this hun. 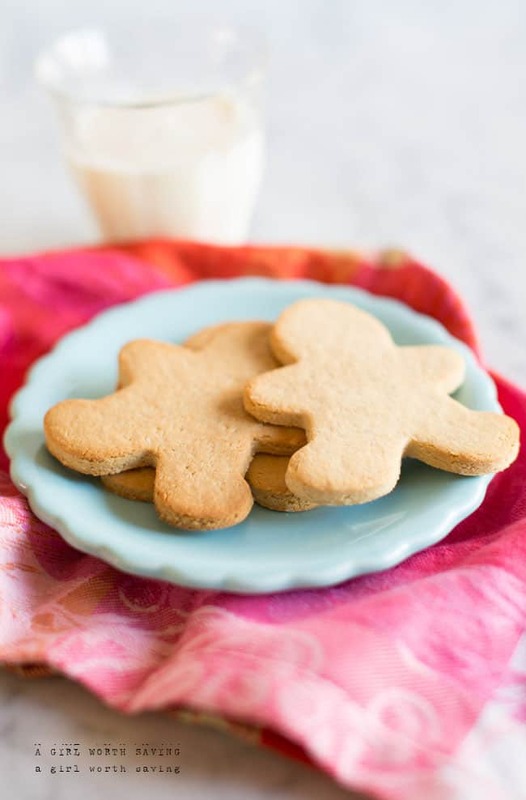 I made these today and was pleasantly surprised at how easy these are to pull together and the added bonus of the cookies retaining their shape and the double added bonus of them tasting fantastic was just a total delight. The cookies are just sweet enough and taste very light and delicious. I did make a change due to not having everything on hand. I followed all the directions but I did sub softened butter for the ghee and I used coconut sugar in place of honey (followed the measurements used in the recipe though). This recipe will be a staple in our baking file no doubt! So glad you enjoyed them hun. This recipe looks great! For number of servings that you have 6. Does that mean that it makes only 6 cookies?